I peer outside the window, and it's foggy. The streetlights have become a muted orange behind the wispy white clouds. Outside is mostly silent, there's never much hustle around my apartment building. I turn around and peer at the endless boxes and suitcases that now encompass my room and wonder how exactly I'm going to get to my bed without stepping on something important or sharp. I made it. I look at my notebook, preparing to study for an exam tomorrow that really could determine the entire outcome of my university career and my laptop. Instead of studying, the glow of the laptop reminds me of Leli. The girl I've always felt I was, but never quite knew who she was. Leli, I've always imaged, to be my end goal. Leli is the person, that once it's all said and done I want to become. I want to know she was proud of what we did. I did? She did? There's a twisted relationship I have with this blog, and quite honestly I'm still trying to understand it. The last time I made this glorious comeback I was freshly unemployed, confused, lost, stressed, sad and a little hungry. I can safely say I'm all of those things yet again. 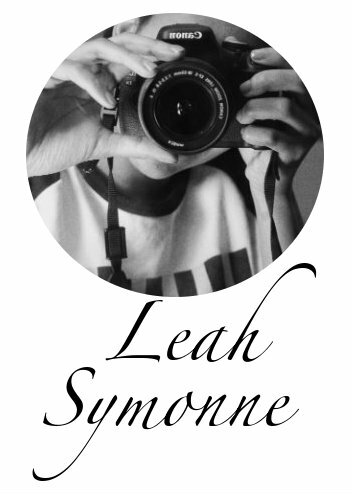 When a 17 year old Leah started this blog four years ago I was fresh out of high school and embarking on my university career. Now that career has come to an end, I've recently quit my job because I am moving, I've cut all my hair off and now rock a small afro, have seen three new countries in the world since then and have never experienced quite as much happiness, stress and anxiety than I have this past year. Adulthood is ridiculous and this doesn't make any sense. I'm financially unstable, broke, indebted, sad, hungry, excited, worried, angry and all around discontented. However, what I'm not--which I was this time last year-- is afraid. Despite the absolute endless, abyss of uncertainty my life is at this specific point in time. What I'm not, which is something I've never been so comfortable with, is afraid of it. Fear is something that has crippled my movements my entire life, and I don't doubt at some point or another it will rear its silvery shining head ready to ruin my fun again. But for right now, I've never been any more ready to face this world broke, bald and unkempt. Anyways, I've got an exam tomorrow and I'm afraid of failing. Talk soon.